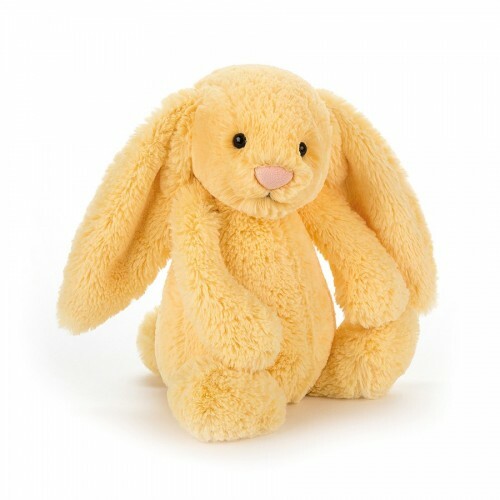 Full of silly, citrussy fun, it's Bashful Lemon Bunny! Sweet as pie, with long, lopsy ears, this cuddly bunny is so dreamy-soft. Fond of snuggles and plenty of giggles, this cuddly chum is a friend to all. Have a bobtail ball and take Bunny along for zingy hops and lemon bops!